Chocolate chip pecan cookie stuffed with a soft caramel center. 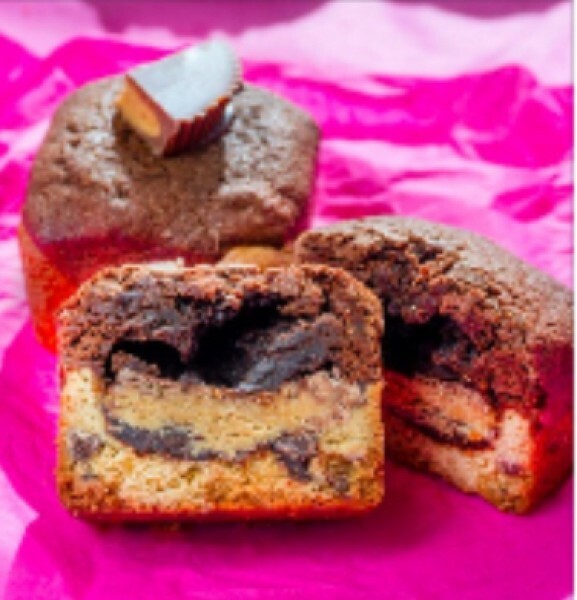 Chocolate chip cookie bottom, peanut butter cup middle, topped with a homemade chocolate brownie. 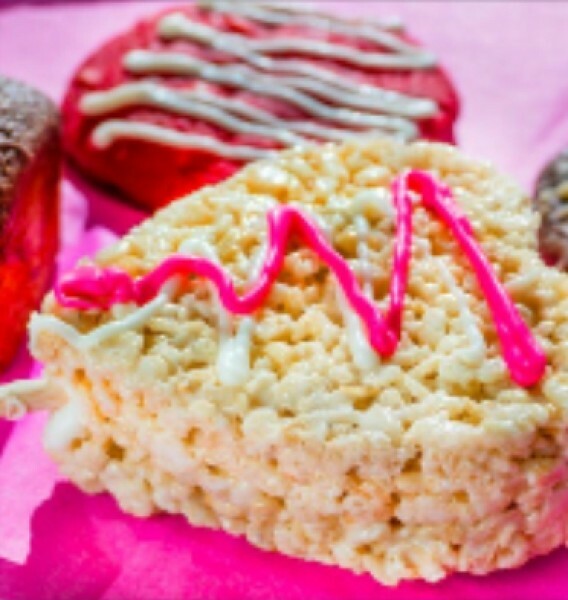 Gourmet Rice Krispie Treat made with browned butter, sea salt and white chocolate. Comes in various shapes on a stick. Soft banana cookie topped with a banana buttercream and a mills wafer! Mint chocolate chip cookie made with 3 kinds of chocolate and Andes mints, finished with a mint drizzle! Chocolate chip cookie bottom, double stuffed Oreo middle, topped with a homemade chocolate brownies. 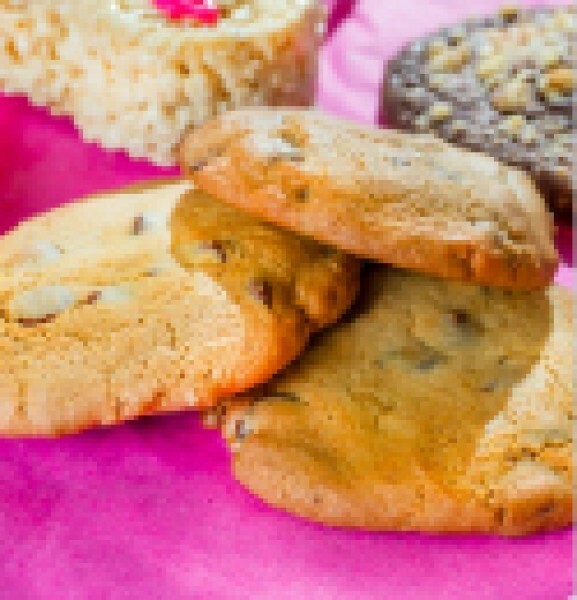 Chocolate chip cookie made with fresh brown sugar and 3 types of chocolate. 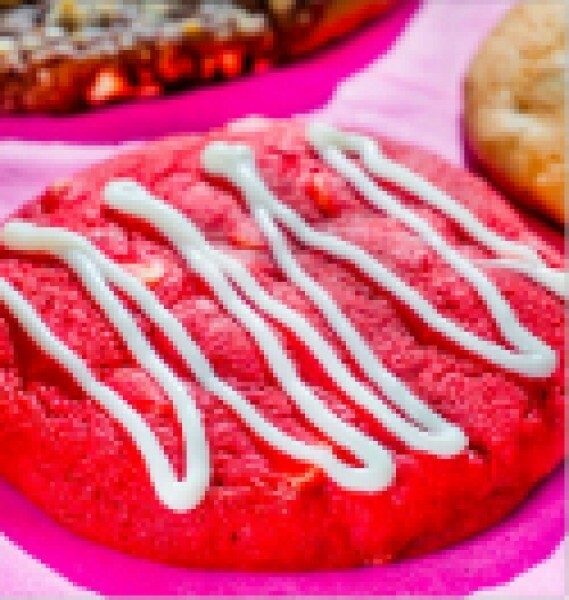 Red velvet cookie made with white chocolate chips, finished with a white chocolate drizzle. Old fashion oatmeal raisin cookie made with a pinch of cinnamon. Vanilla Sugar cookie made with a pink glaze and sprinkles. Guinness infused rich chocolate brownie topped with an Irish Team frosting! Graham cracker cookie topped with marshmallows and a chocolate drizzle. Snicker-doodle cookie topped with a fireball whiskey buttercream. Root Beer infused cookie topped with a marshmallow buttercream. 1 Gallon of 2% Milk.